Mark has worked in the VET Sector since 2004 across many different fields with particular focus on Security, Safety, Risk Management and Leadership. Mark founded Asset Training Australia in 2006 initially working in partnership with other RTO’s and then gaining initial RTO registration in 2008. Asset Training Australia now delivers over 70 qualifications Australia wide and engages several partners in their fields of expertise. Prior to this business, Mark worked as an Operations Manager and Business Development Manager in the Security Industry. He is also a former Infantry Soldier in the Australian Army and has worked as a volunteer with various youth development programs over the past 15 years. Mark has been involved in advisory groups with departments such as QLD Police and QLD Department of Transport and Main Roads with a goal of ensuring that industry licensing requirements and licensed training programs meet industry needs. Mark holds post-graduate qualifications in Management, Adult Learning and Community Services. He is currently undertaking the final project for a Masters of Business Administration. Philippa comes from Christchurch, New Zealand and has been with Asset College since 2011. She is responsible for the smooth running of the administration team, which is the backbone of the organisation. Philippa supervises, supports and assists staff, franchisees, training partners and students from enquiry to graduation and everything in-between. Philippa holds a Certificate IV in Business Administration and Certificate IV in Training and Assessment. Mike started his career as a Production Engineer working with Airbus. Upon arriving in Australia, he went on to establish Queensland’s largest multi-media distribution business before moving into the world of education as a consultant for the Department of Education. For the past 15 years, Mike has successfully managed the sales, marketing and client service functions for several of Australia’s largest RTOs and thrives on connecting the dots between training and great outcomes for employers and employees alike. Henry is the RPL Facilitator for Asset College. 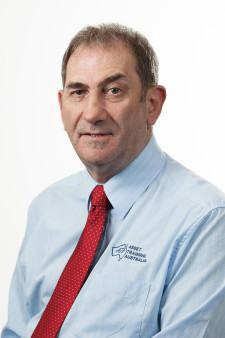 After having a significant history as a Paramedic, Educator and Manager in the Queensland Ambulance Service, Henry became a Director of Atlas Medical. Atlas Medical is now a proud member of the Risk2Solution (R2S) group of companies. This has seen Henry move to Operations Director of Risk2Solution. Henry will be using his extensive experience in educating diverse groups of people to provide exceptional customer service and advice to Recognition of Prior Learning candidates from Certificate II right up to Graduate Diploma level qualifications with ASSET. Henry is the point of contact for all things RPL! Kevin is Business Development Manager for Asset College. In this role he utilises his skills and knowledge to help grow the business. In recent times, Kevin has moved to more of a training role to fill the needs of our expanding business. 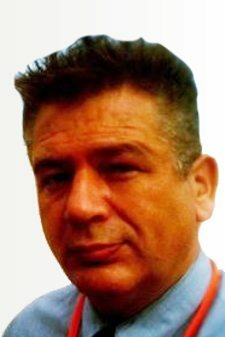 Kevin is a qualified Trainer and Assessor for Security, Investigations and JP courses. Originally from England, Kevin has served in the Police in Lancashire and here in Australia. 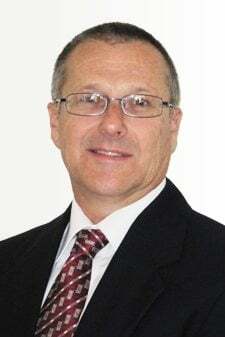 He entered the Security Industry in 1989 and since then has been a Static Guard, Patrol Officer, Control Room Operator, Supervisor, State Manager and Business Owner. In 2002 he became actively involved in the training area and has delivered and assessed Nationally Accredited Training programs, and managed and owned Registered Training Organisations. 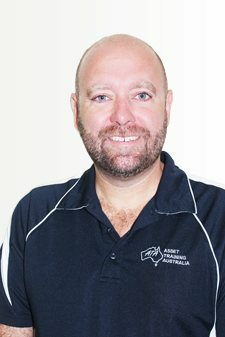 Kevin is also a member of ASIAL International QLD. Kevin holds a Bachelor of Business (Human Resource Management) and a number of security qualifications. Christine is a Community Justice Services trainer and assessor for Asset College. She specialises in Justice of the Peace (Qualified) and Commissioner for Declarations. Christine believes that customer service is the key to a successful career and she prides herself in delivering excellent customer service and an experience for her students through her training. Christine has experience in a number of management functions including marketing and government training programs. Christine is an appointed Justice of the Peace (Qualified) in Queensland. James began his career leading security teams for a number of companies before coming to Asset College. Now, James keeps his knowledge current by maintaining his employment within the industry at licensed venues around the CBD. James has been an important part of the Asset College team since 2013 and delivers and assesses in security and firearms training. He is extremely knowledgeable, passionate and professional in his training and all things firearms safety. James’ ability to deliver content in an engaging way is a credit to his abilities as a trainer. James holds a number of security qualifications. Craig has 28+ years in the Australian Defence Force as an Infantry Soldier. After discharging from Defence into the public sector, Craig began a life coaching and consultancy business where he advises in the areas of leadership, management, security, self-defence and training. Craig assists with RPL assessments specialising in Defence members. He is also a trainer and assessor for students in security, aviation and firearms. Craig holds both a Diploma in Management and Security and Risk Management along with a number of other security qualifications. Lynn Meecham is a Trainer/Assessor of Asset College’s Security, Aviation, First Aid, White Card & RSA courses. Lynn has over a decade of experience in security across almost every area of the industry. In the recent years, Lynn led security teams as State Operations & State Manager for national companies. She was also the Site Security Manager for a billion dollar asset on the Gold Coast prior to moving into the training sector almost 3 years ago. “I find ASSET to be professional and refreshingly geared towards the optimal outcome for the students in their chosen fields. Since leaving school, Matt has worked in distribution warehouses, working his way up to an Area Supervisor position. He then decided to change careers and moved into security, starting as a Security Officer and also achieving Area Manager roles in this industry. He also began his training career with this company. Since 2004, Matt has worked for several different registered training organisations in the role of Trainer. This included warehousing and logistics, security operations, First Aid, high risk licensing and moving up to Certificate IV and Diploma qualifications. At Asset College, Matt trains Security Operations at our Logan office as well as looking after many of our Certificate IV and Diploma students. Matt holds Diploma’s in Training Design & Development, Business and Workplace Health & Safety. He also holds a number of security qualifications. Peta is the first point of call for our students. 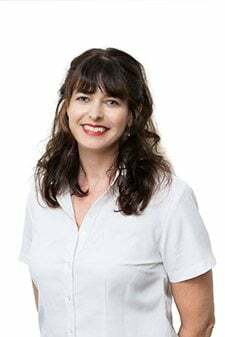 She handles all incoming enquiries and if you have a question about any of our courses Peta will most likely be the person you will speak with. Peta has worked in administration & customer service for over 20 years. 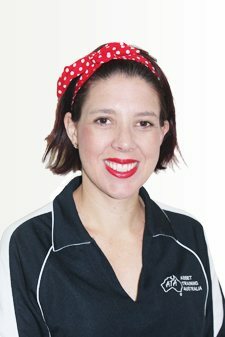 She started out as a legal trainee but then moved to work for Education Queensland. She lived abroad in London for 12 months to experience a different part of the world. Her variety of knowledge in administration, customer service and in life has allowed her to give the best possible service to students and display an understanding for cultural differences in delivering quality education. Peta holds a Diploma of Accounting and is an appointed Justice of the Peace (Qualified). 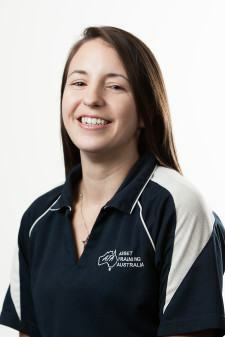 Renee has been with Asset College since 2014 at our head office in North Lakes. She handles course enquiries, enrolments, funding applications, certificate issuing and so much more! More recently, Renee’s focus has been on effectively and efficiently handling all government funding applications for head office and franchises. Renee has worked in the customer service industry for over 10 years. Prior to starting at Asset College she worked for a number of large companies in both the public and private sectors. Through her wide-ranging experience she is able to deliver exceptional service to both students and her fellow colleagues and is always willing to go above and beyond to achieve this. Renee holds a Certificate III in Business Administration and is an appointed Justice of the Peace (Qualified). Kim Baruzza is working with our head office team at North Lakes assisting with all our students needs throughout their time with us. 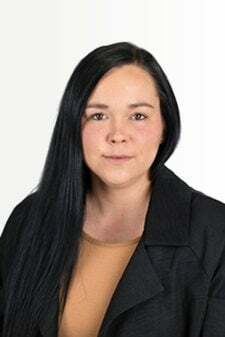 Kim has worked in the vocational education sector for 10 years in administration and training of security and business. She along with her husband Paul, ran the Sunshine Coast Asset College franchise before deciding to try their hand at real estate for a couple of years also! 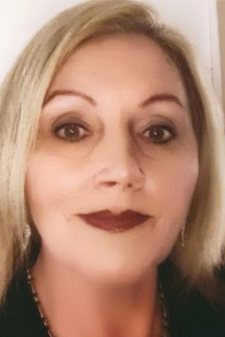 Kim holds a Diploma of Security and Risk Management, Real Estate Licence, Certificate IV in Frontline Management, Certificate IV in Small Business Management, Certificate III in Business Administration, Certificate IV in Bookkeeping and a Certificate III in Security Operations. Kiara is our Managing Director’s daughter who assists our administration team with daily tasks in the office. Kiara is still at school so between studying and training to be our Director, she certainly is busy! Hannah is our Trainee Administration Assistant for our Franchises and Training Partners. Hannah has worked in administration in the warehousing industry as well as in both the sales and hospitality fields. 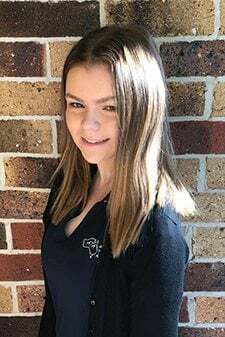 She is currently studying a Certificate IV in Business Administration and hopes to use her new skills and knowledge from her qualification to take on more advanced administrative tasks for Asset College. She loves working for Asset College as she is constantly learning something new, and every day is different. Cathy is one of Asset College’s Enrolment Officers. Cathy has extensive experience in customer service in the insurance industry, which means you know she can handle any question that you throw at her! Cathy also dabbled in Real Estate Property Management and is a volunteer Foster Carer. Cathy holds a Certificate IV in Child, Youth and Family Intervention from which she uses her interpersonal skills to assist students in gaining a stable career direction & the steps to make it happen. Cathy enjoys working at Asset College because of the team she is surrounded by. Her passion is to help people achieve their goals and that is what she does every day at ASSET. Ramdev joined the ASSET team in 2015 as our Senior Graphic Designer / Website Developer. His role is diverse, adding creativity and building our corporate image across all aspects of our print and digital marketing. Ramdev has several years’ experience in Graphic Design and Web Development as a freelancer and with other international businesses; he has also worked as a Project Manager. 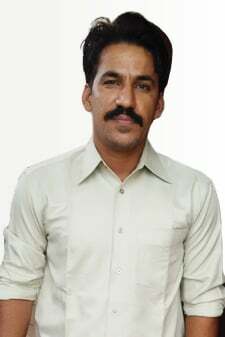 Ramdev has completed a Bachelor of Computer Application and a Masters of Computer Application. David is the owner and head trainer for Asset College in FNQ. As well as delivering training he is employed by several security providers to maintain a high level of current industry knowledge which he passes onto his students. David began his career with the Royal Australian Air Force (RAAF) with the Security Police. During this time he was honoured to be able to serve his country in two theatres, IRAQ 2003 and the Indian Ocean (Tsunami) 2005. In late 2005, after discharging from the Air Force David and his family began the FNQ Asset College franchise. 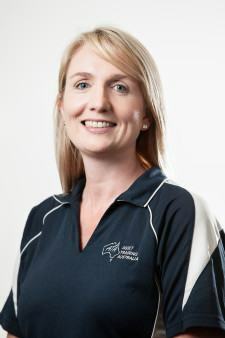 As the Office Manager, Renee handles all administrative duties for Asset College Townsville. Renee comes from the world of childcare, having spent approximately 12 years in various roles. Looking for a new challenge, Renee decided she would join her husband in the family business and began managing ASSET FNQ. Seeing students receive their qualifications and head into their chosen industry, loving what they do and knowing they’ll make a difference is what motivates Renee. Donna is the Office Manager as well as the business trainer for Asset College. Donna has over 15 years experience working in administration for major transport companies in a number of departments and roles. Donna passes her many years of experience onto her business students. 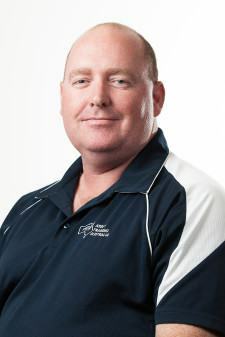 Chris is the owner and head trainer for Asset College in Rockhampton. He also travels to Bundaberg to ensure that ASSET’s training services are accessible to everyone. In addition to this, he is currently employed by a security company in Central Queensland as Regional Operations Manager. Chris is able to use his industry knowledge to deliver quality training to his students. Chris has worked in management positions for a long time and has strong leadership skills. He currently holds a Certificate IV in Training & Assessment, a Certificate IV in Small Business Management as well as many qualifications in security operations.